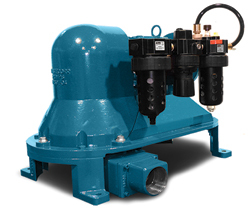 Mud Sucker 2FA Series Diaphragm pumps are known for their versatility for oil collection systems, especially waste trap grease, transmission fluids and motor oil. Many of our innovative customers also design their own collection systems. 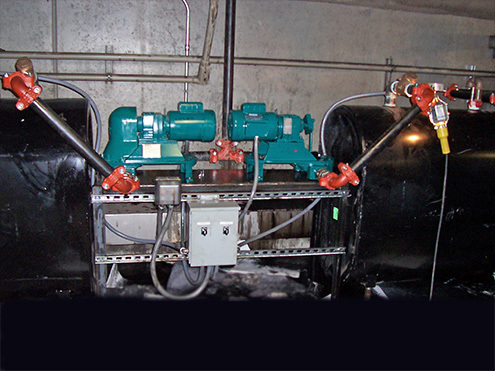 In the installation you see here, one customer used two Mud-Sucker 2FA-EC (electric) diaphragm pumps to set up a new waste oil collection system at a city bus depot. 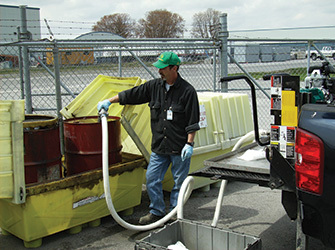 The bus depot collects motor oil and transmission oil in drain pans. The waste is then gravity fed into two, 275 gallon collection tanks, each tank having a pump and float system. The oil is then sucked up and discharged into a common 2″ riser travelling up 25 feet. The oil travels horizontally for 161 feet and then drops 25 feet into a larger storage tank. 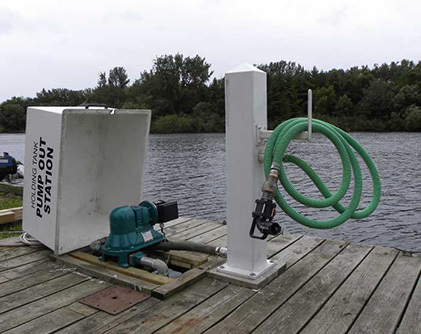 The suction and discharge height are well within the limits of these Mud-Sucker pumps. 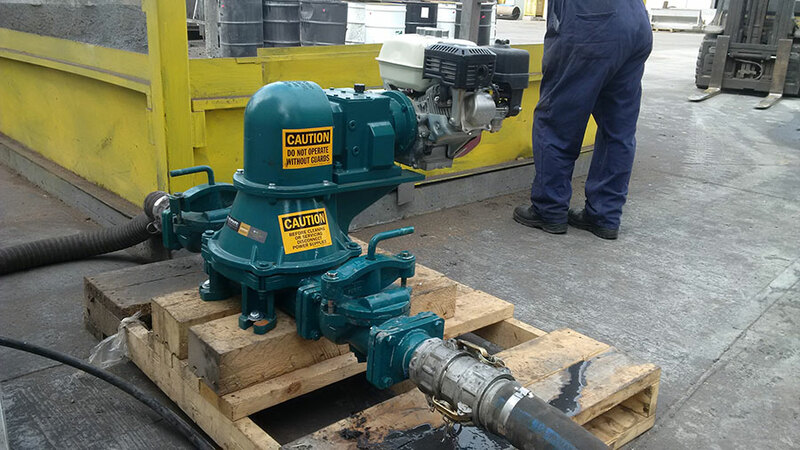 Waste oil recovery is a hot topic right now in the world of pumps. 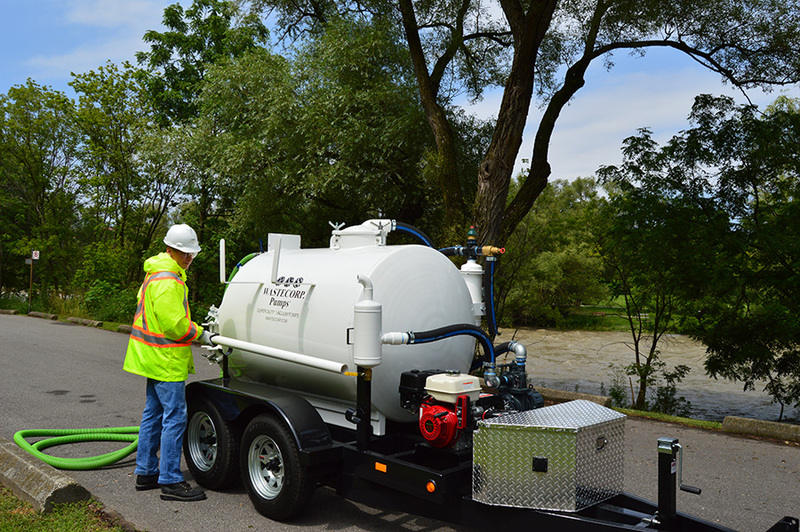 For facilities with multiple storage tanks or sites, a portable pump may be a great option considering the alternatives. 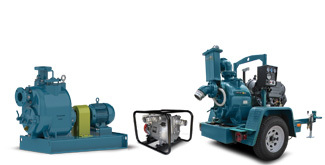 Traditionally vacuum pump trucks have been one of the only options available to transfer waste oil from tanks, cargo, tanker ships, on site storage facilities and more. This is no longer the case. Did you ever consider starting a food type grease or waste oil collection service? Did you ever wonder what kind of equipment you would need to start to become a "greaser"? The tough economy has enabled many creative local entrepreneurs to start their own business. One of the questions we most frequently here from farmers and ranchers is how to pump cow, sheep, hog or horse manure from one area of their farm to another using the right pumping equipment. Most of the time, manure based slurries contain solids content ranging from 5% -15% solids. 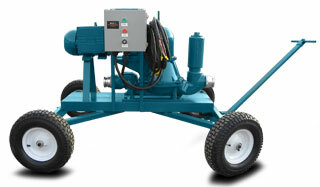 Wastecorp is pleased to launch the new Trash Flow Trash pump line. 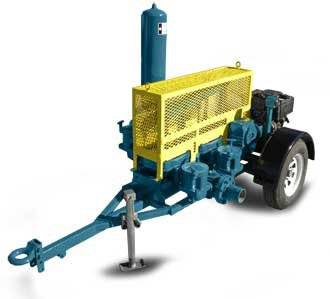 Trash Flow pumps are available as self priming centrifugal models for municipal and industrial applications as well as compact trash pumps for contractor use. What makes this product line our best ever is that current users looking to replace their existing brand can simply drop the new Trash Flow into place with no piping changes.